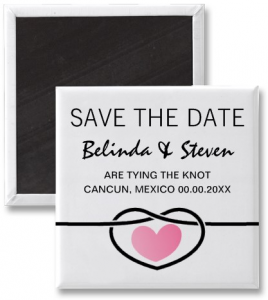 Modern Save the Date magnet featuring a string tied in a heart shaped knot with a pink heart inside. Elegant and contemporary design with customizable wedding date and bride’s and groom’s names. Click on the image for details. Other matching products are also available.